Sooke fishing is fun right now ... Spring salmon 20-30 pounds being reported regularly from Otter Point and Possession Point. There are loads of pink salmon out in the tidelines. 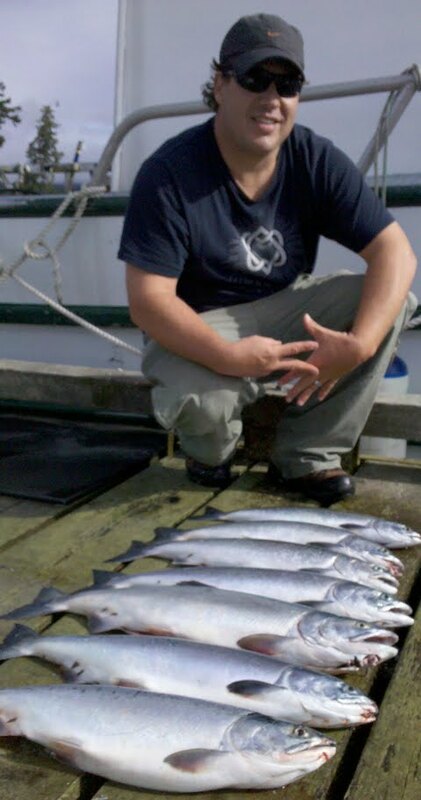 Here's Ron with a quick morning's catch of pinks ... ready for the smoker.